Can you clean your own chimney? Is chimney sweeping a skill that’s easily learnt? Can you safely and effectively clean your own chimney or is this a job best left to the professionals? It is always recommended to use a professional company. Chimney sweeping…not an outdated concept! With the modern technology and conveniences we have in our homes today – such as central heating – many people think that the traditional coal and wood fires have been completely replaced and are obsolete. But in fact, old-fashioned fireplaces are coming back in vogue, with many people valuing the great character they can add to a room, as well as the excellent source of heat they can provide if they are maintained properly. This means that sweeping chimneys – rather than being an anachronism – is still something that many homeowners need to acquaint themselves with. As a fire is burning in a fireplace, it releases gases which rise up through the chimney, depositing soot on the inner chimney walls in the process. The soot gradually accumulates on the walls and can eventually obstruct or even block the chimney, preventing the rising gases from escaping. Not only does this obstruction lower the efficiency of the fireplace – because air can no longer be sucked through to supply the fire so the fire burns itself out – but it can also lead to safety risks. This is due to harmful gases not being able to escape up the chimney and also due to the build-up of highly flammable substances such as creosote within the soot, which have the potential to cause chimney fires. In fact, the National Association of Chimney Sweeps states that keeping a chimney clean and swept aids in the “prevention of chimney fires and reduces the risk of dangerous fume emissions from blocked heating appliances, flueways and chimneys.” Thus, cleaning your chimney regularly helps in maintaining a safer, more efficient fireplace. It is possible to clean your chimney yourself although you will have to be prepared to devote probably an entire day to the task, do some hard labour, have lots of patience and most of all, have the necessary equipment. Don’t forget also that chimney sweeping can be a very messy process so be prepared to get dirty, as well as take action to protect the rest of your room – such as covering carpets with plastic or a dust sheet before beginning the cleaning. Before grabbing the traditional brushes, have a look at two modern developments which may help to make your task easier. First of all, there is now a vacuum cleaner specifically designed for cleaning chimneys and such machines can usually be rented from DIY hardware stores. Be aware, though, that such machines are only really suitable for chimneys kept in good condition. If your chimney has been neglected for a long time or it has a large build-up of impacted soot, then this vacuum cleaner will be ineffective. Secondly, there are now chemicals which can be used when lighting a fire so that as they burn, they produce a gas which rises up through the chimney and breaks down many of the deposits on the walls. However, even with this method, there will be cleaning involved as the loosened soot will fall down the chimney back into your fireplace, possibly crashing down at the most unexpected times! The most important thing is getting hold of the right tools – the basics include tarpaulin, wire brush, a telescopic extender and a mirror. The most important tool is probably the wire brush, which is used to scrape soot off the inner walls of the chimney. The telescopic extender then helps you reach higher up into the chimney, whilst the mirror – attached to a flexible stick – enables you to see areas high up into the chimney. Chimneys can be cleaned in two ways – from the inside or from the outside. Most people seem to prefer the indoor method, using their tools to reach through the entire chimney from the inside. However, you can also clean the chimney from the outside – from your roof. In this case, you will need a sturdy ladder to let you access the roof. Time to call in the professionals? While doing things yourself can undoubtedly save you money, there are times when it may be a better idea to relinquish the job to professionals. For example, if you cannot see far enough up your chimney to confirm if there is a blockage, then it would be best to leave things to a professional chimney sweep, as the risks of overlooking an obstruction can turn into a serious safety hazard. Don’t forget also that the DIY route means that not only will have to clean the chimney yourself but also do all the routine maintenance, which is vital in keeping the chimney effective and safe. For example, you will need to examine fire backs regularly to see if they have been damaged by the fire and cracks have begun to appear. This is something that will always occur with time. The cracks will need to be patched up if they’re still small enough – otherwise the entire fire back may need to be replaced. Again, this is a job which can be done yourself, especially with the aid of a good DIY manual, but in many cases, it may be best left to a professional. Don’t forget that the traditional image of a chimney sweep being a soot-covered child is definitely no longer true. Modern chimney sweeps are skilled professionals with the necessary training and experience to notice and prevent problems that can lead to chimney fires or inefficient fireplaces. Whether you’ve bought a wood burning stove, are thinking of getting one, or have inherited one with a house you’ve moved into, there are a number of things to consider so you can make the most of your stove. In terms of fuel, there are clear benefits to using wood over coal. As well as coal being more expensive, it produces much more CO2, so is less environmentally friendly. When we asked customers about whether they believe a stove has saved them money or not, 61% of the people that said it has own a wood burning stove, while 39% own a multi-fuel stove. In a survey conducted by the Department of Energy and Climate Change (DECC), of those who owned multi-fuel stoves 77% said they used them exclusively to burn wood. As multi-fuel stoves do not burn wood as efficiently as dedicated wood burning stoves, it’s worth thinking about what fuel you think you’ll use before you buy. To make sure you get the most out of your wood burning stove, it’s important to use the right kind of wood. The price of wood varies depending on where you are in the country and what type of wood you buy. Wood is normally sold by cubic metres, rather than by weight, to ensure the measurements aren’t taking into account any moisture contained in the logs. For wood burning stoves, the drier the wood the better. Using fresh logs with high moisture content will reduce your stove’s heat output as you’ll waste energy burning off the water, so you’ll need to use more to warm the room. You can reduce the moisture content of freshly cut wood by drying it yourself, also called seasoning. To do this, it’s best to store the wood in a dry place for at least a year, preferably two. You can also buy moisture metres, which cost around £17, to help determine how dry fuel it. It’s also preferable to burn hardwoods, such as oak and ash, instead of softwoods, such as pine or fir, as these will take longer to burn and so you’ll use less. For the best results, the wood should be left on a dry surface protected from rain. Leave the sides exposed to air and wind, as it will speed up the drying process. Chopping the wood down to size before storing it will also help it to dry quicker. Alternatively, you can buy ready-seasoned wood at a little extra cost. Freshly cut logs are cheap to buy at around £80 per cubic metre, but have a moisture content between 60% and 90%. The heat output from freshly cut logs will be around 1kWh per kg. Ready-seasoned wood has around 40% moisture content, and can usually be purchased for around £95 – £123 per cubic metre. Burning wood that has been seasoned will give you a heat output of about 3kWh per kg. Alternatively, kiln-dried wood is more expensive, about £115-£145 per cubic metre, but is highly efficient and can be used immediately. On average, it contains less than 20% moisture and burning it produces a heat output of around 4.5kWh per kg. If you have a specialised wood-pellet stove, you can usually buy wood pellets online or from a local supplier. Wood pellets are sold by the kg and cost around £120 per 250kg. The Stove Industry Alliance (SIA) recommends that you buy ENplus standard pellets, which have roughly 10% moisture content and will give you a heat output of around 5kWh per kg. Note that 500kg is around one cubic metre, so working out how much wood will cost for the amount you’ll use is a little tricky. It is sometimes possible to collect wood fuel for free from building sites, skips or local woods – but legally you don’t have a right to it, so it’s really important to check first with the site or land owners that they’re happy for you to take it. It’s worth also asking whether the wood has been treated with chemicals, as it could therefore be unsafe to burn. As a rough guide, an average-sized house which uses a stove in the evenings and at weekends will need about three to four cubic metres a year. Although wood itself is considered a carbon-neutral fuel, transporting it uses CO2, so it’s best to try and find a supplier close to home. You can find a local supplier on the wood fuel directory website. Use the airwash to control the burn rate when the appliance is at operating temperature. If you choose the right stove, it should be fairly easy to maintain. But there are a few steps you should take to keep it efficient and safe. To keep your stove in good working order, the SIA recommends that you have your chimney swept once year by your local chimney sweep to avoid a build-up of tar and soot, which could damage the chimney and stove when not in use. From a safety point of view, blocked chimneys can also cause deadly carbon monoxide. 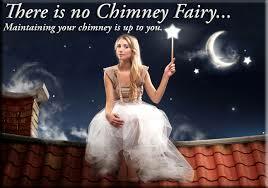 One chimney sweep should cost £30-£50. Wet or unseasoned logs will leave more sooty deposits and could increase the number of sweeps you need, so it’s best to use seasoned or kiln-dried wood to cut down on maintenance. 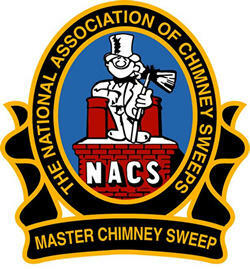 You can find a chimney sweep in your area by visiting The National Association of Chimney Sweeps website. 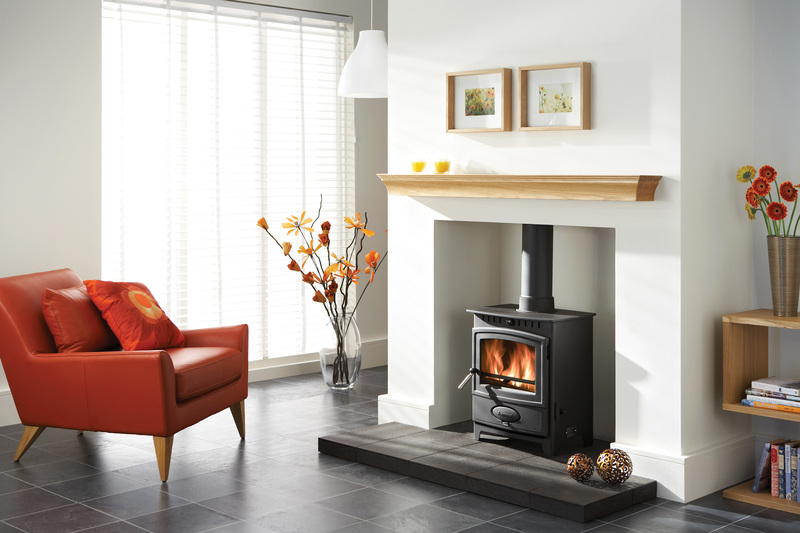 If you have a pellet stove, you will need to have a yearly service, which can cost around £200, as well as chimney sweeps, as the stove has electrical working parts. It’s also good idea to clean out the ash from the ash pan and to clean the glass regularly. Keep in mind thought that leaving a layer of ash in the grate can in fact help to start the fire and keep it burning, so it’s it’s best to check the manufacturer’s guide for specific instructions on how often to clean it out. If your stove has airwash – a cool air vent that helps to stop tar building up on the glass – you may not need to clean the ash or glass as often. Some stoves also have special cleanburn or cleanheat technologies, which pull in extra air to help burn off more smoke, reducing sooty deposits. When cleaning out the stove, it’s worth keeping an eye out for any cracks, distortions, breaks in the seals, holes or rust, as they could affect the stove’s performance and safety. Depending on how long you’ve had the stove, getting the affected part repaired or replaced if there are any problems may be covered in the manufacturer’s warranty. It’s also a good idea to get a carbon monoxide detector. This will monitor whether any poisonous carbon monoxide, which is odourless and tasteless, is being emitted.